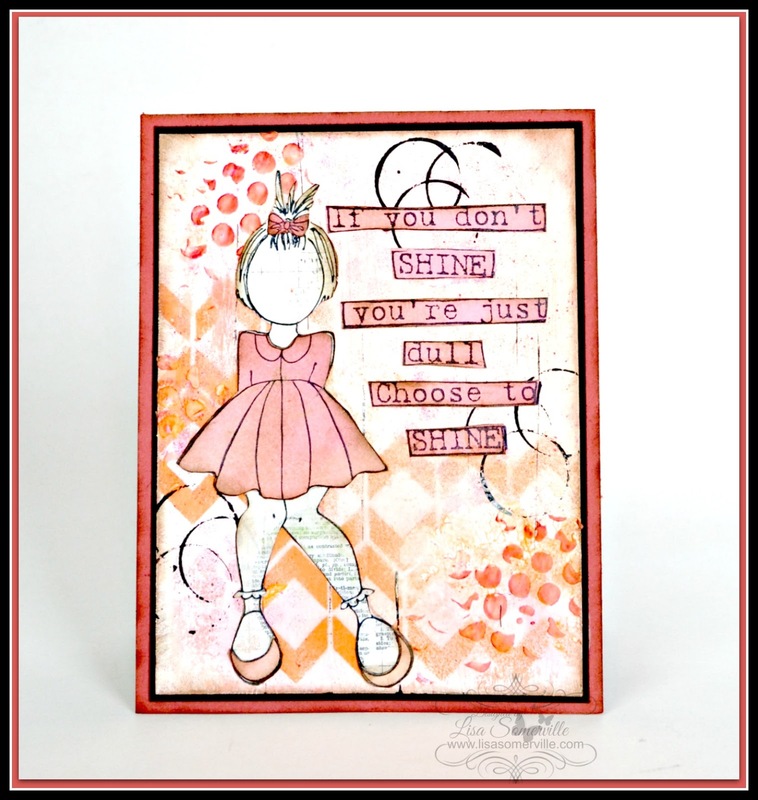 I just love this sentiment from Dyan Reaveley's Quintessential Quotes stamp set. I've paired up the sentiment with a Julie Nutting Doll and a Mixed Media background created with STAEDTLER Markers, the eBrush, stencils from Just a Trace and some mediums from DecoArt. 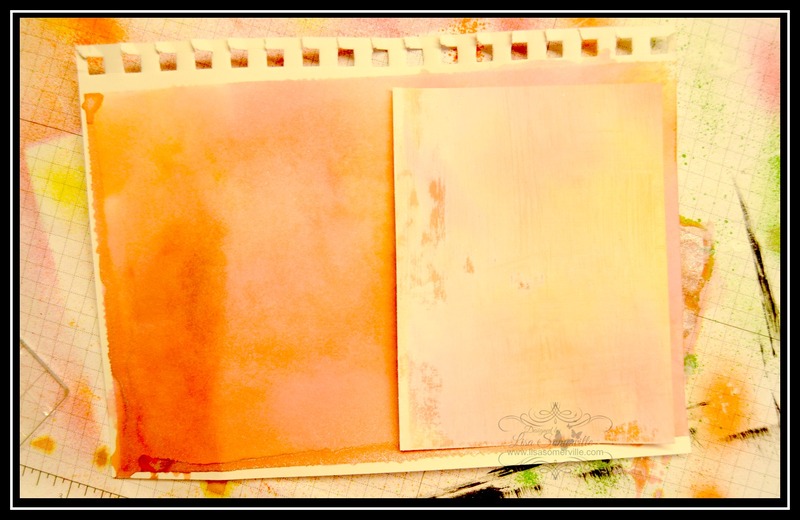 I started out by created two different background panels using the eBrush, STAEDTLER Mars Graphic Jr. Markers and Glimmer Mist. To add interest to the lighter panel, I used the eBrush along with one of the Markers I used for the background and eBrushed over the Cabin Chevron Stencil from Just a Trace. I also used the eBrush and a Red marker to add color to a scrap of Punchinella, then applied Modeling Paste to the stencil while it was still wet to add additional texture and color to the Modeling Paste. The Prima Doll was stamped on a scrap of Bo Bunny pattern paper, them paper pieced using the more vibrant panel that I eBrushed. The sentiment is also stamped on scraps of the same panel. For additional texture and interest, I added some Black paint to a credit card and also to a Paint Bottle top to apply the circles and lines on the background. Love your eBrush backgrounds Lisa. Such beautiful spring colours. 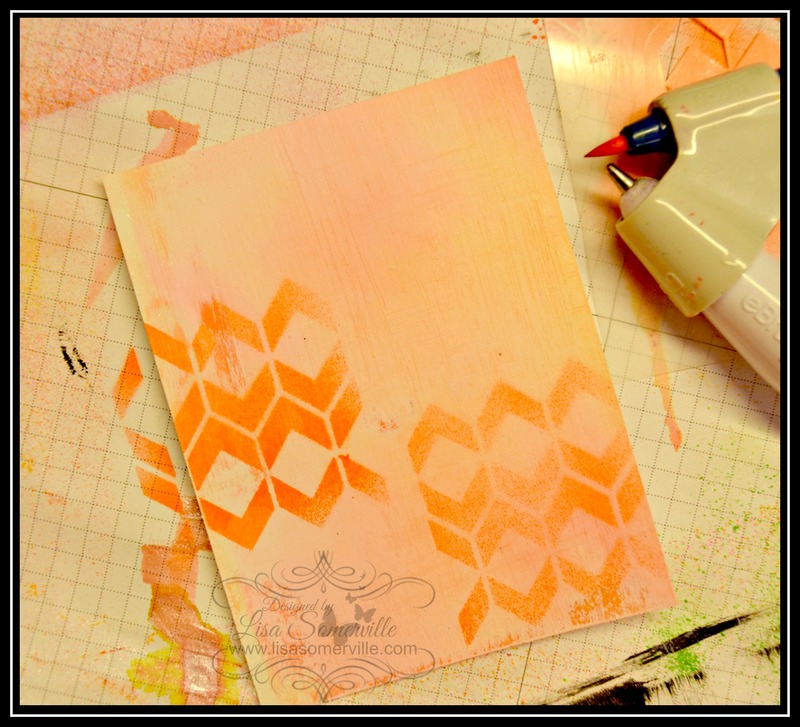 Love the added visual texture with the sprayed stencils and embossing paste. Awesome pairing of the image with the fun sentiment. 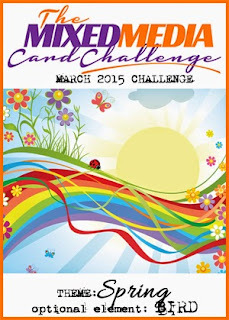 Thanks for playing along at Mixed Media Card Challenge. this card made me smile :). love the quote! thanks for playing along with us at MMCC! Just love to see your work in the MMCC gallery! Thanks for joining us at the MMCC this month. These brushed BGs are luscious.